Lighting is a major factor in any form of photography and in creating premium imaging results. This simple attachment accessory is designed to clamp to a variety of Dino-Lite stand bases including the MS35B, MS36B, MS35T and RK-10A. The MSAK812 can firmly secure two LED lights for aided viewing. Product comes with a USB hub that has 4 ports which can be used for the included 2 LED lights and more. 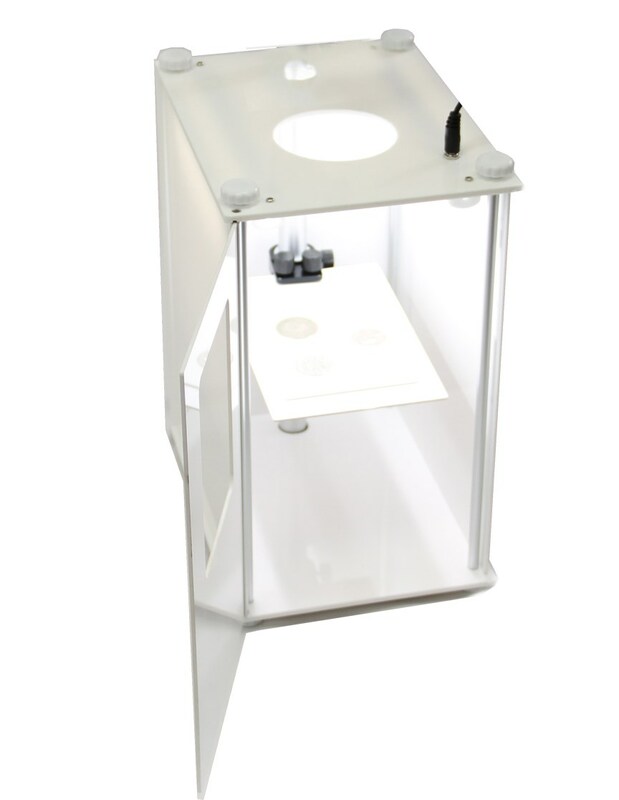 This product works perfectly with the the BL-GC1 specimen holder (not included) that can be attached as a post into the MSAK812 and can hold an object and rotate for additional viewing. The MSAK813 is an advanced supplemental dual articulating spot light can be used with the Dino-Lite RK-10A stand for white light with brightness controls. These very bright dual LED use flex arms that can be placed in any desired position and has a dimmer for 0-10 brightness control. The MSAK813 requires an outlet for power. Photo box for premium image capture when lighting and color matters. The package includes two 8" LED light bars and up to 14" vertical internal working distance. 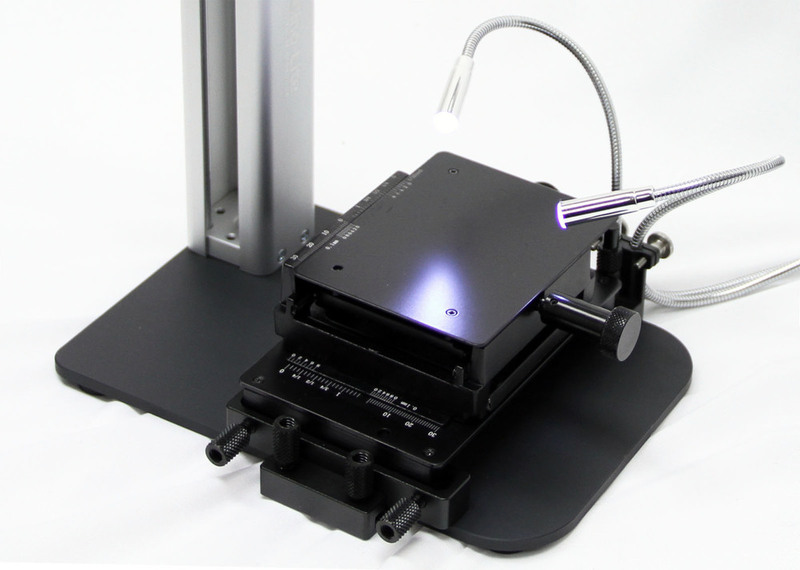 When using a MS35B adding an additional pole allows you to place the Dino-Lite outside of the box and view from the open slot or you have the option to use the included slot card that acts as a Dino-Lite holder to inspect your subject from a higher distance. Powered by an included AC Adapter, this photo box helps to eliminate outside light pollution and other factors that could interfere with your photo imaging.